Why was I here? 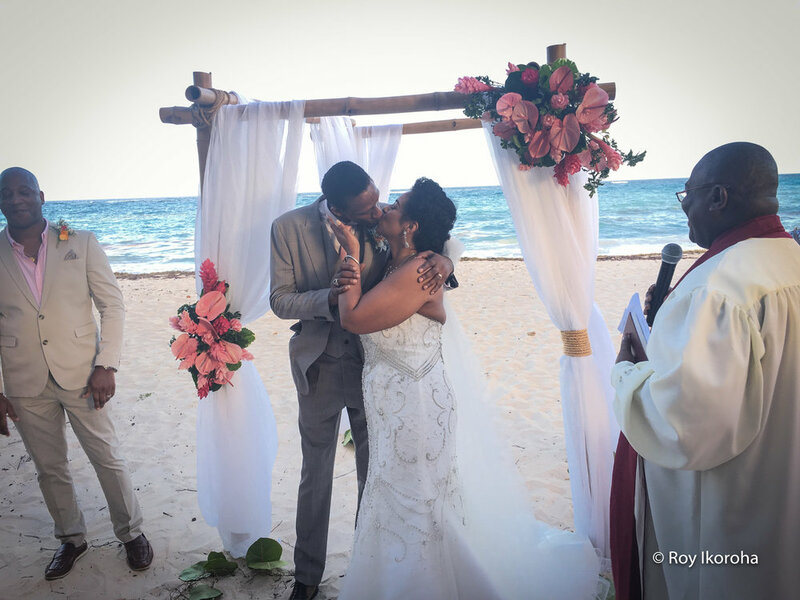 Well, first and foremost my uncle got wed to his lovely girlfriend Amanda (“Aunty Amanda” I should say otherwise a relative may switch on me haha) on St Philips Beach, which was thirty minutes east of where my family and I were staying - in Christ Church! Following an extremely cool Virgin flight of which I managed to negate an awkward ‘legroom’ situation; we arrived in Barbados! 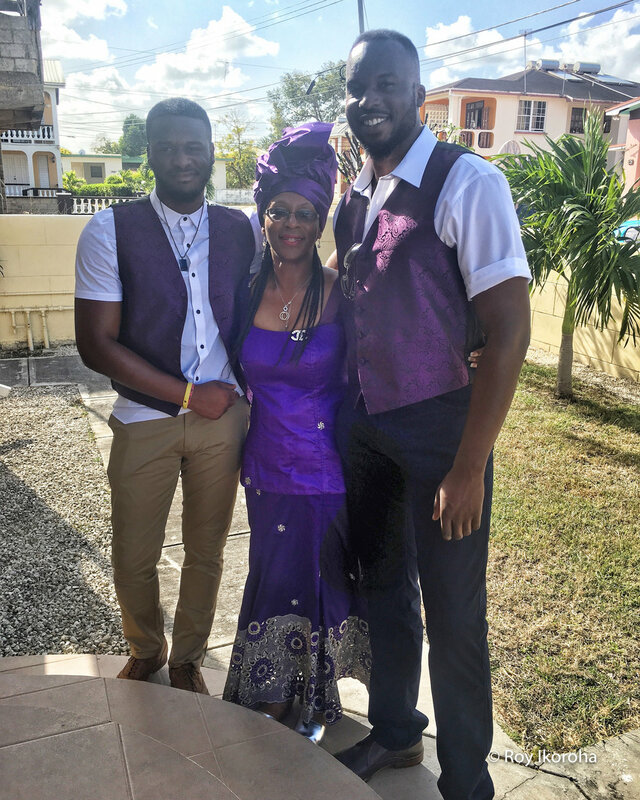 The plane door opened and I remember being literally blown away by the expected intensity of the Bajan heat… all 30 degree Celsius of it – a huge contrast from the relaxation of the air-conditioned comforts of the plane! I remember passport control taking longer than it needed to take owing to one of the officials strangely deciding to check people who were behind us first, but that is another story! The villa! Here was our accommodation (see above) for the following eight nights and I certainly couldn’t complain. There were balconies for days plus more than enough living space for everybody. It took me five days to realise there was powerful accessible Wi-Fi right by my room with passcode provided. I was relying on downstairs Wi-Fi, which of course weakens with distance! Data? Nope, definitely did not dare use that out here because I did not want my network o2 charging me £6 per megabyte; as Barbados is outside the ‘o2 Travel’ remit (data I could use up within 30 seconds…). Relying on Wi-Fi connections for this holiday was certainly the way forward… unless you bought a local SIM. It probably helped that Internet was limited as it kept me off my phone more often than not – with the exception of taking several hundred photos – of which some which the non-blurry ones feature in this blog! The first few days of paradise (Barbados, don’t forget) were spent visiting the local shops, beaches, bars, and of course chilling and taking in the gorgeous Barbados weather! My family and I even got to know some of the local residents and fellow holiday-goers who were also renting villas nearby. You may not be surprised by this revelation; but I saw so many fellow Brits during my time out here; two of which we invited round frequently for house parties (and nights out)! We even visited their pool on several occasions (Amanda and Russ if you are reading this – we will catch up again soon). When not frequenting the beautiful beaches of the country, we were enjoying other parts of the Barbados lifestyle. The first night saw my family and I visit the Oistins Fish Market via another $2 BBD people-carrier. I will discuss these carriers shortly. On reaching the market, it must have been clear we were tourists as we had so many of the stall holders and restaurant owners coming up to us in their dozens jostling for our attention for us to visit their place with “the best food”. 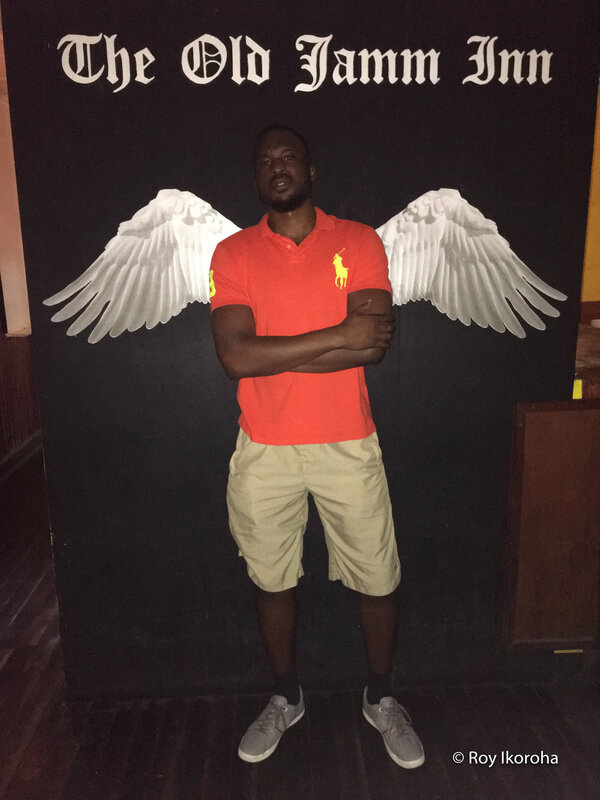 The offers were coming in from left, right, and centre; before we settled on Oistins Fish Fry, which did the best grilled marlin I have ever eaten at a cost of 25 Barbados Dollars, which was not bad considering what came with it – namely plantain, pasta and salad! It did take a good hour to arrive though… One thing I learnt about Barbados is that food never came quickly – well not for me anyway!! Before I carry on, I said I would discuss the people-carrier cabs. I wish I had taken a photo of these! One method of public transport in Barbados is a people-carrier service which ‘toots’ at every single person walking the streets – even in the opposite direction to which the bus is travelling (logical...) – hoping to collect a $2 fee for a lift which is anywhere along a route to the buses' specified destination! These were equally convenient and inconvenient: Convenient in the sense that the cost to travel was quite low; but inconvenient in the sense that drivers would literally cram passengers into every last breathable space in order to make their dollar, plus make stops every twenty-seconds at least! It was an experience; let’s just say that. Mind you, at present I prefer riding these versus London buses! The following day saw the daytime visit of the country’s capital Bridgetown (see photos above) where we took it easy wandering about visiting some of the area’s retailers and just site-seeing in general. It was here in Bridgetown that enquiries were made about some of the activities the area had to offer including; boat rides, turtle-watching, jet-skiing and fishing. I definitely logged the jet-ski activity in the back of my mind for a later day. 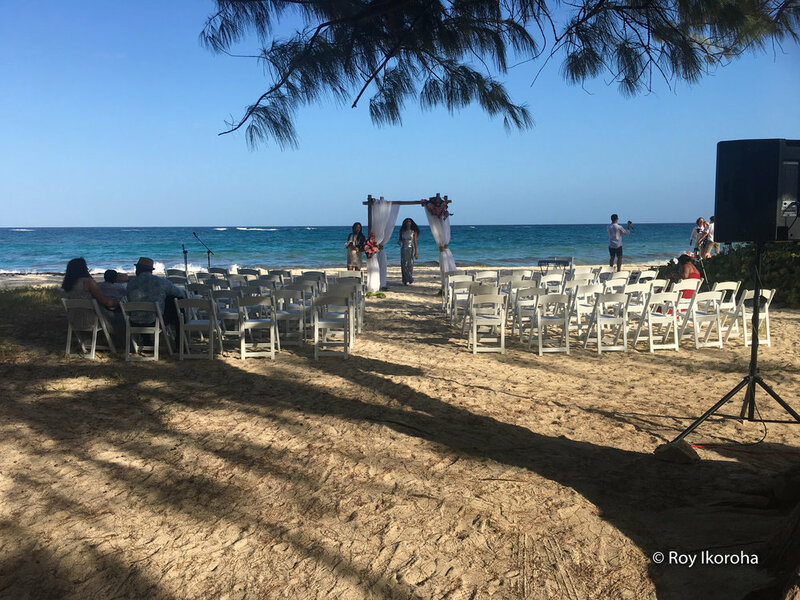 Following another day of taking in the gorgeous views of Barbados; wedding day arrived on the Sunday; to which featured a classic beachside wedding complete with both sets of families and of course a spectacular picturesque setting! A handful of photos have been included below and on my IG both in slideshow and standalone format. The best music of the day was by my cousin Tileasha. She has an awesome voice by the way! This preceded the candy dance we all were instructed to learn if we hadn’t learn it already (I put my hand up for not already being good at this one - shoutout to YouTube for having my back). My cousin Georgia looking to the distance within the St Philip's settings. My Dad wasn't able to make the occasion as he was busy with work. You may kiss the bride, Uncle. After being told about St Lawrence Gap plenty of times by locals; this was where we headed Monday evening! We settled for The Old Jamm Inn that featured great drinks and an impressive live set of music from some very talented musicians. Our Barbados neighbours Amanda and Russ joined us for this one – and the karaoke afterwards of which I ended up taking part in alongside my more reluctant uncle! I've omitted some photos as they were waaaay too blurry! Obviously I am an angel ;)! Remember I mentioned jet skiing? Well; Tuesday morning saw my mother, my brother, and I head down to Butterfly beach with the hope of catching one of the skiers zoom by – to which you hail them! It took a patient hour or so to spot one coming by and voila – we were off on our lessons. 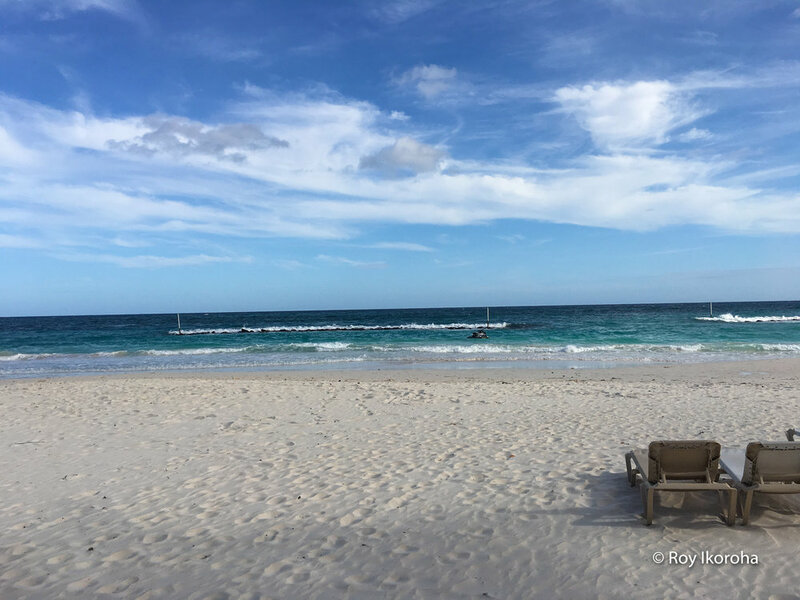 This was one of the parts of Barbados I enjoyed the most – riding the waves [fairly] carefreely, but making sure whilst zipping the ocean at pace that I did not catch one of the swimmers! Fortunately the ski professional was on the ride too to ensure I was not riding too fast, too slowly, or too wayward! It was really something incredible to be involved in! Post this, we returned to paddling the waves and sunbathing. Pictured here with my bro and jet ski instructor Ellis. The afternoon and evening saw me frequent some of the local off-licenses and beaches; including Sandals beach with its white sands and supreme deck chairs! My brother and I managed to catch Juventus vs Barcelona on the widescreen at a shop near Sandals Beach; and was pleased to see Juve’ win 3-0! 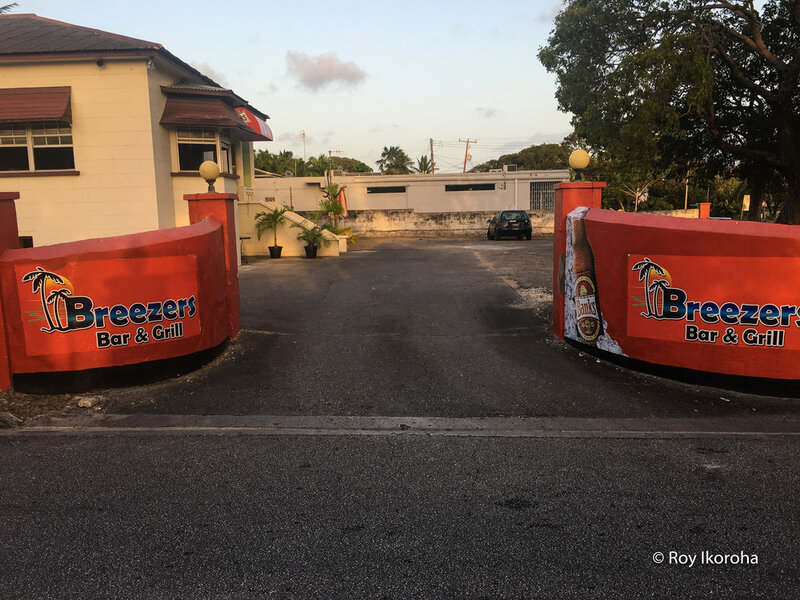 On the way back to our villa, we passed by Breezers Bar & Grill – a place we had been a few times for drinks – to try out their food! In short – marvelous – I had a thai chicken stir fry mix with rice! If I am being honest, the waitress in the bar – Anika - was one of the most naturally beautiful people I have met in a while! So, Barbados; how were you? Amazing. There is no other way to put it. The weather set the tone for days which were filled with many experiences which will be remembered for a long time. From meeting Amanda and Russell (and using their pool) to practically living on Butterfly Beach for the majority of my time there – not to forget the long hours relaxing on the upper-ground or first floor balconies of our villa: the trip has truly been an unforgettable one. The Bajan way of life is one I want to experience again very soon, as London can get a bit stressful from time to time. Sometimes you want to slow the pace down, and not be behind a laptop all the time. Hey guys, I hope you have enjoyed this blog post on my time in Barbados. I am interested to hear your thoughts if you have any. Did you find it informative enough? Was it too informative? I am interested as constructive critique is always the way forward in my eyes. Not begging for ‘likes’ or anything; but if you do like my post, why not drop it a like and/or share on your media platform. Thank you for reading. More London blogging again very soon! For now, explore my IG: iamroyikoroha / r_ikoroha_photography for all the latest snaps of mine both home and abroad!